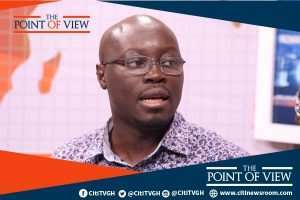 Former Deputy Finance Minister, Cassiel Ato Forson is asking President Akufo-Addo to quickly ban his Vice, Dr. Mahamudu Bawumia from speaking on matters of the economy. “I will urge the President to restrain his Vice President because anytime he speaks the currency moves. You heard him talk about the likes of the judiciary and the court systems. What has that got to do with the economic management team? He had nothing to say. He was just playing with numbers. And again, you know him and his credentials of lying with numbers.You could see lies. Our worst is better than your best and you say 'boot for boot'? This one is more like boot for chalewote”. Dr. Mahamadu Bawumia on Wednesday said, the government has performed creditably well compared to the Mahama administration in stabilizing the cedi against major trading currencies. He said the worst performance of the cedi under the Akufo-Addo government is far above the best performance of the cedi under the Mahama government. The strength of the cedi against other major trading currencies is among the topical economic subject discussed by economists and political leaders in the country. Last month, the strength of the currency became a concern for many Ghanaians as the cedi depreciated to the level that saw it being traded at nearly GH¢6 to a dollar. A situation, the veep blamed on the depreciation of the cedi the country experienced in March 2019 on some of the exit conditions by the International Monetary Fund (IMF) programme. According to him, the Bank of Ghana had to implement reforms to ensure an increase in the country's international reserves in a bid to end the IMF's extended credit facility arrangement by April.